It was definitely a labor of love, and started with Pat (who we will refer to henceforth as Farmer Pat) doing his usual extensive pre-project research online. He didn’t want to just spend a bunch of money on Miracle Grow (no judging if you’ve gone that route, though! ), so he looked up how to condition and prepare soil for growing vegetables. 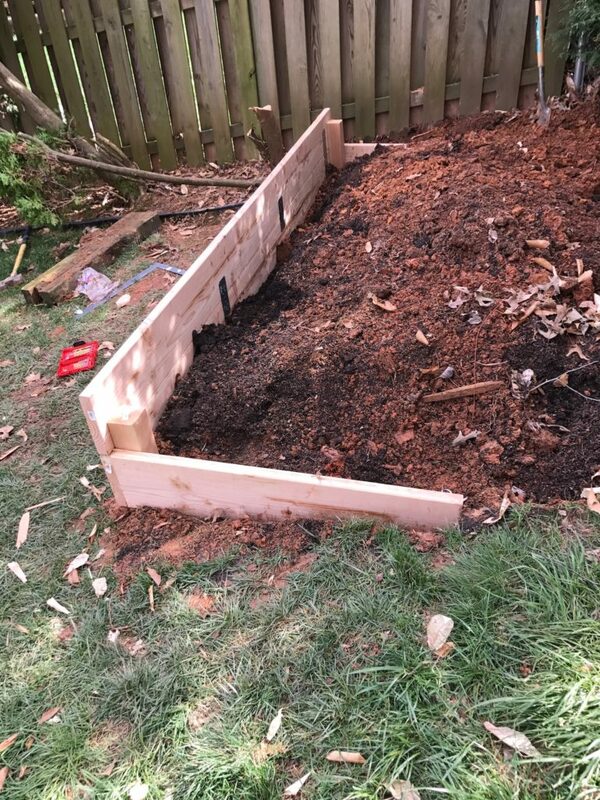 We knew we were going to do a raised bed because the area is on a hill steep enough to where the grass erodes, so it needed to be leveled anyway. 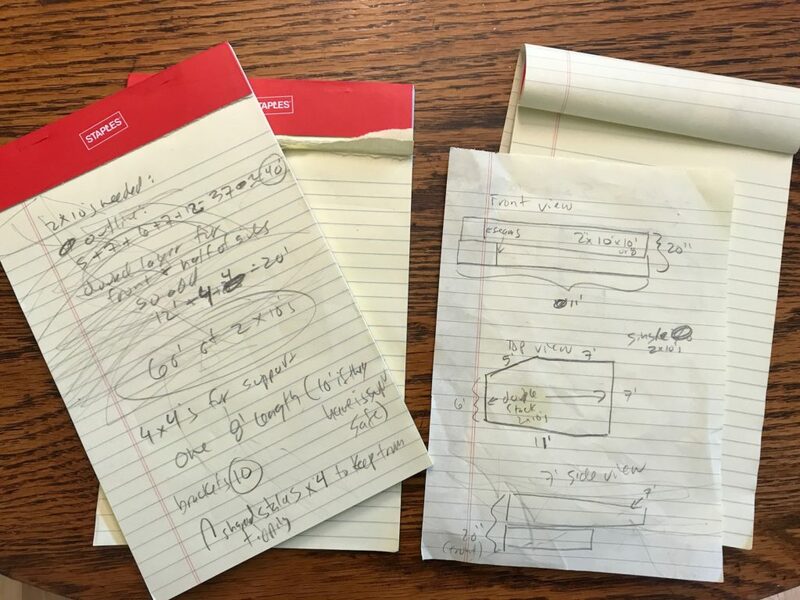 He then sketched out his plans for a raised bed on paper and calculated how much wood he’d need to buy. Brilliant mind, I’m telling you, but he’d definitely get in big trouble in architect or design school because for the handwriting! One trip to Home Depot later, he was ready to build. 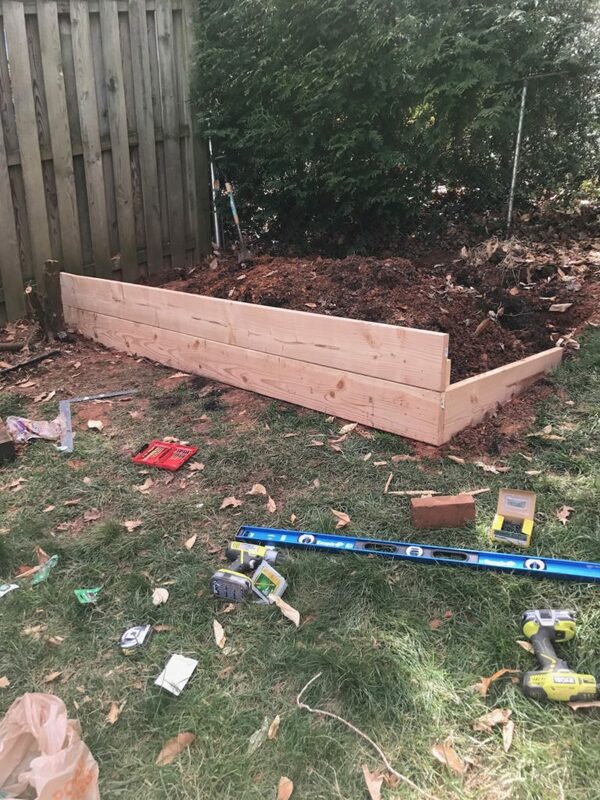 He purchased untreated Douglas Fir because the wood looks nice, it’s harder than pine, but most importantly, you don’t want to grow food in a box made of pressure-treated wood. The only downside is that this will rot, but we should get 7-10 years out of it before that happens. 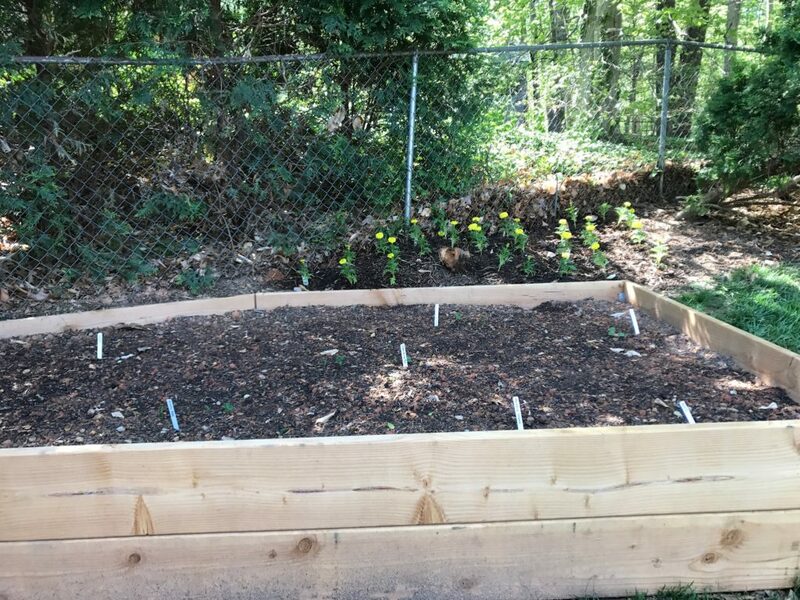 Next he loosened the soil, removed roots and rocks, and then tested the pH (he bought this device for that purpose) and took that number to the Burke Nursery (FYI locals: there’s a coupon on their homepage!) 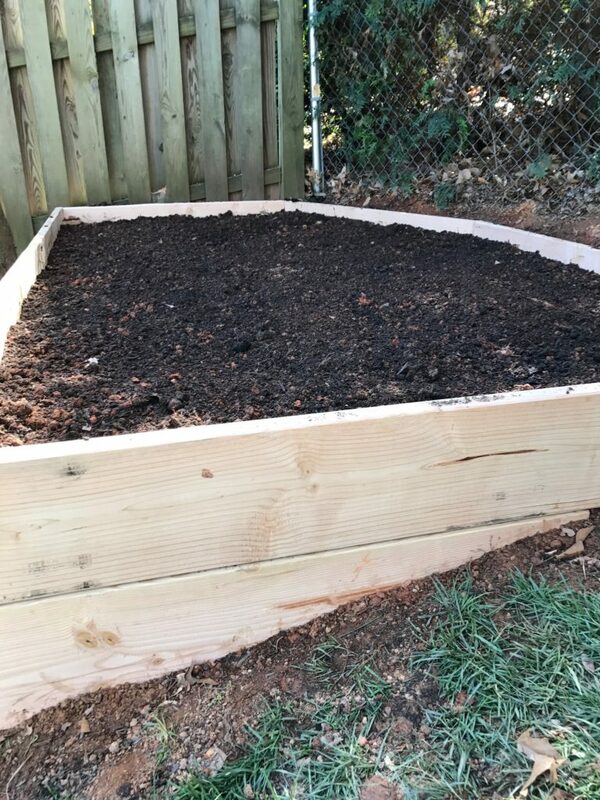 along with the square footage that he needed to fill with soil. 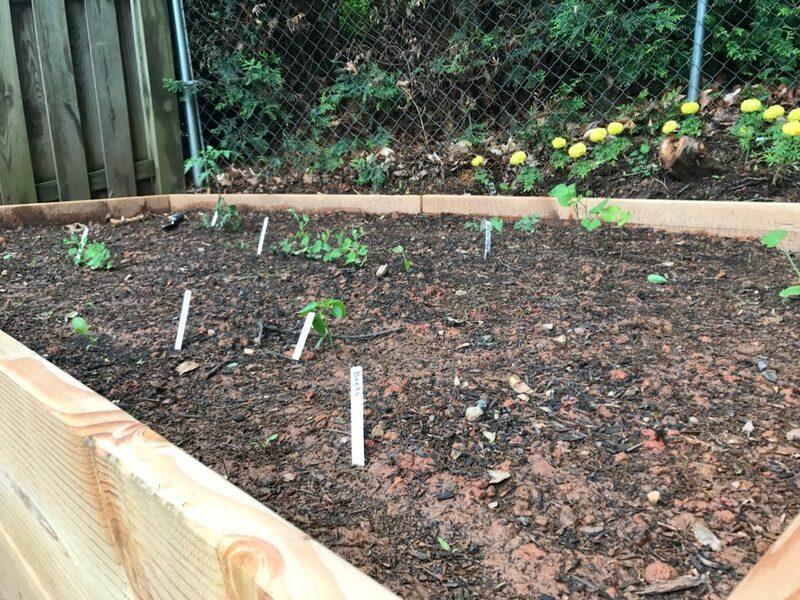 Their wonderful horticulturist, Misty, took his numbers and told him he needed 10 bags of humus, 10 bags of topsoil, and 6 bags of compost. She instructed him to till and mix it all together. Bradley helped, too. 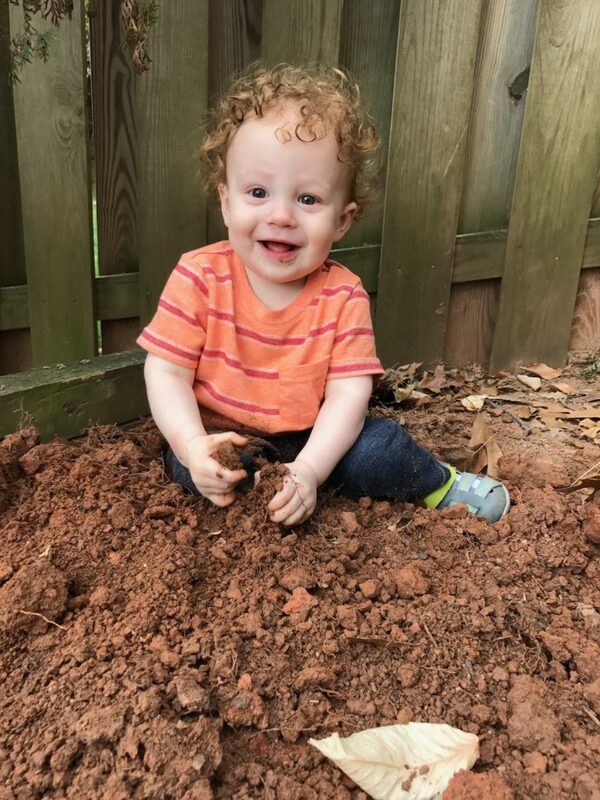 Dirt is fun. 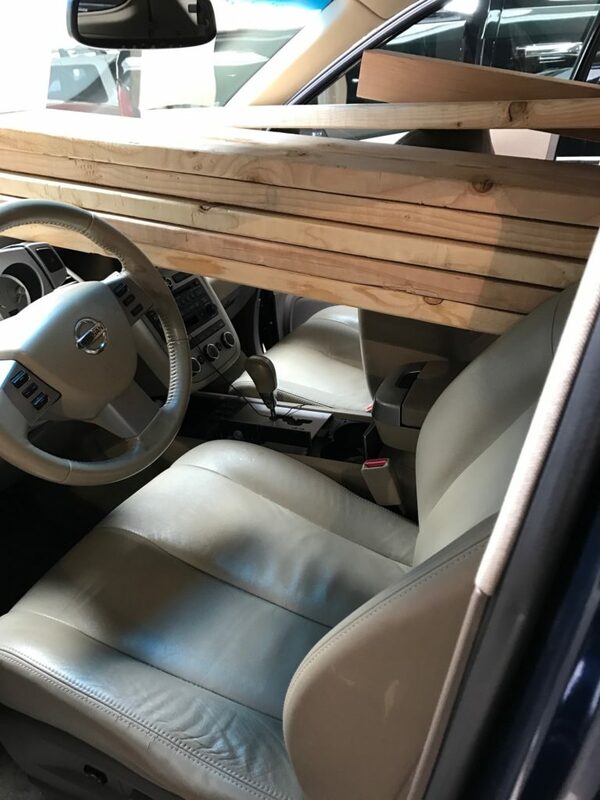 He put 4x4s in the corners to hold it together, and some brackets in the front for extra support since it was 10′ across. 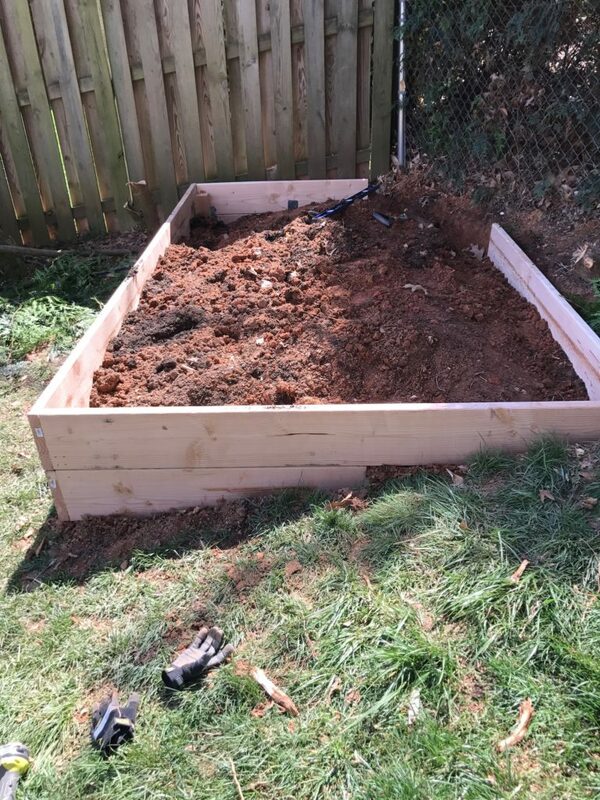 Once the box was finished, he leveled out the soil with a metal rake and let it rain a few times to let the soil set a bit before planting anything. Also we were le tired after the construction (I was raking/pruning during this time) and needed a few days off before getting back out there. 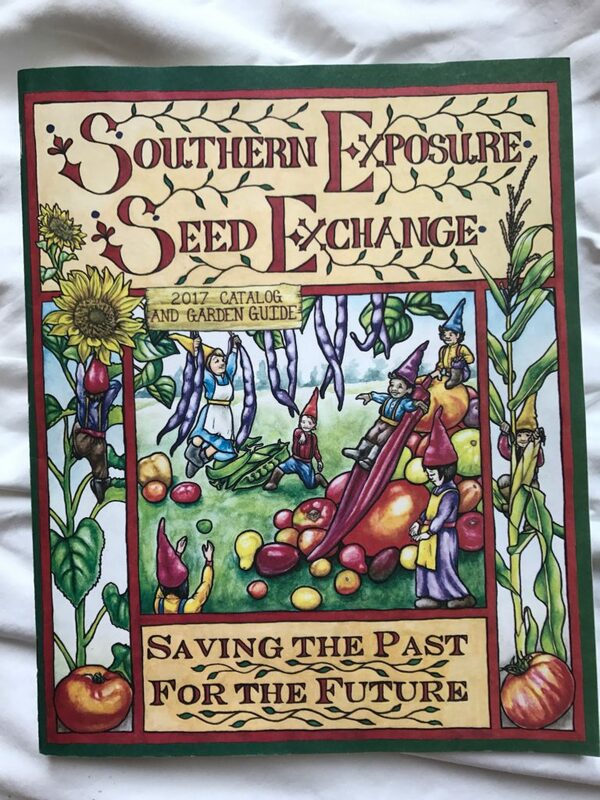 We ordered seeds from the Southern Exposure Seed Exchange catalog and started with just a few things: beets, tomatoes, peas, mustard greens, and squash. Some things we aren’t expecting to do well this year as we didn’t germinate them inside for the previous 6 months. 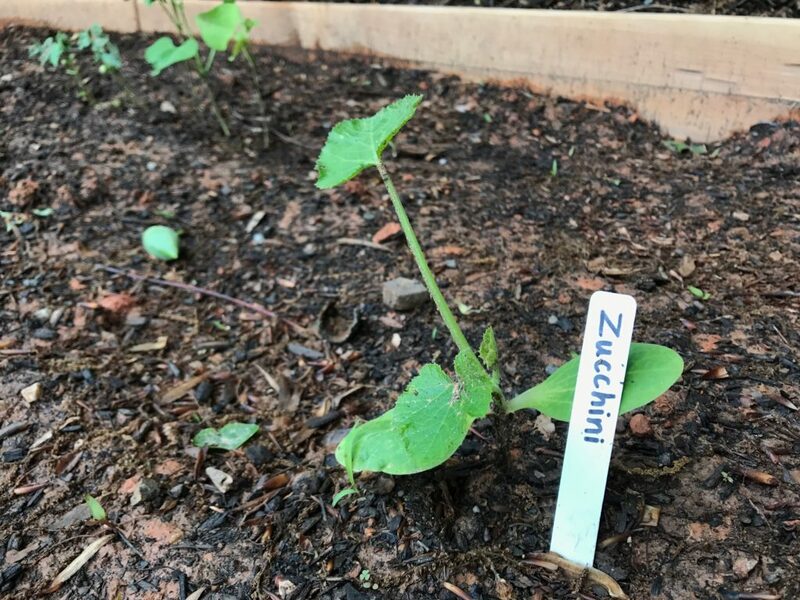 Since each seed packet is only a couple bucks, it didn’t seem like a terribly wasteful experiment. 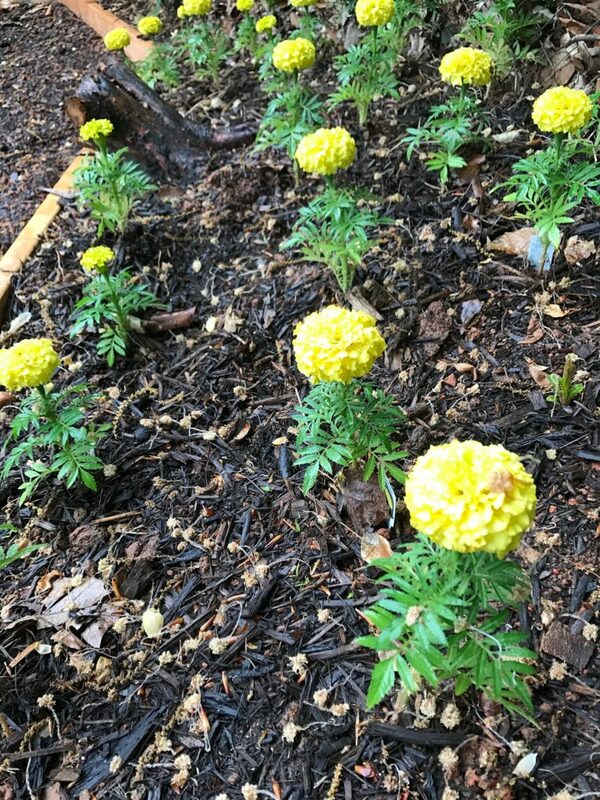 Oh, and I also planted about 30 marigolds in the slope right above the bed because I read those help keep some insects (and maybe rabbits?) at bay. We’ve been out there every day watering for the past month, and are starting to see some progress! 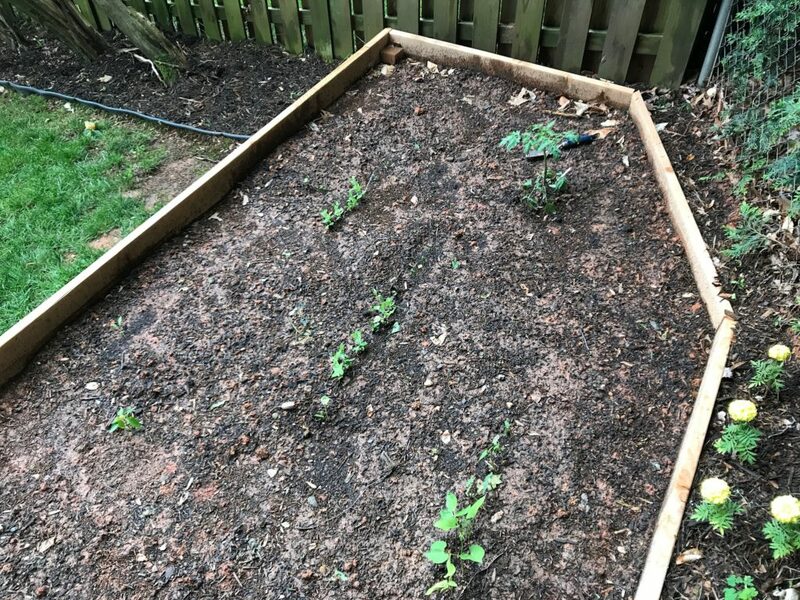 Farmer Pat has several coworkers who are into gardening, and he was able to swap some Benton’s bacon for a tomato plant and a pepper plant. 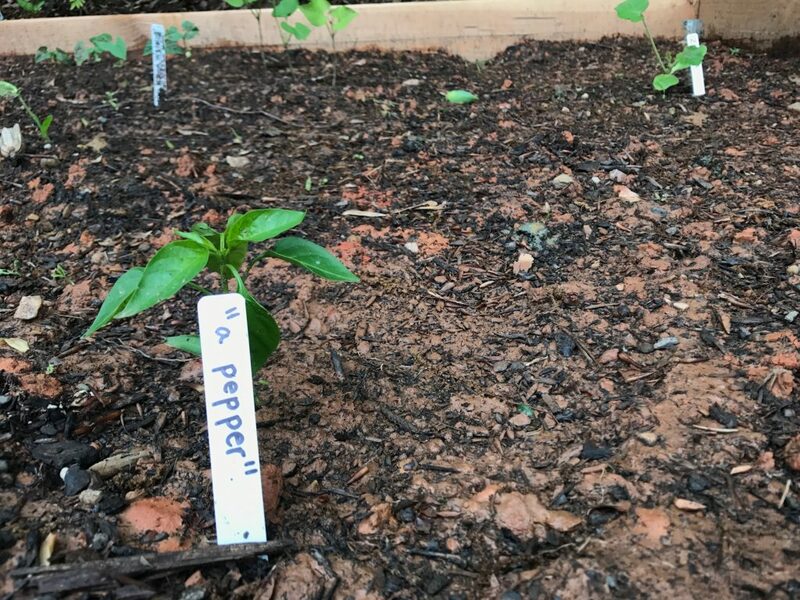 The catch is that the coworker didn’t label which seeds he planted, so we won’t know if the pepper is avjarski, red corno di toro rosso, or albino bullnose; or if the tomato is beduin, carbon, barry’s crazy cherry, tsunshigo chinese, or blueberries cherry. 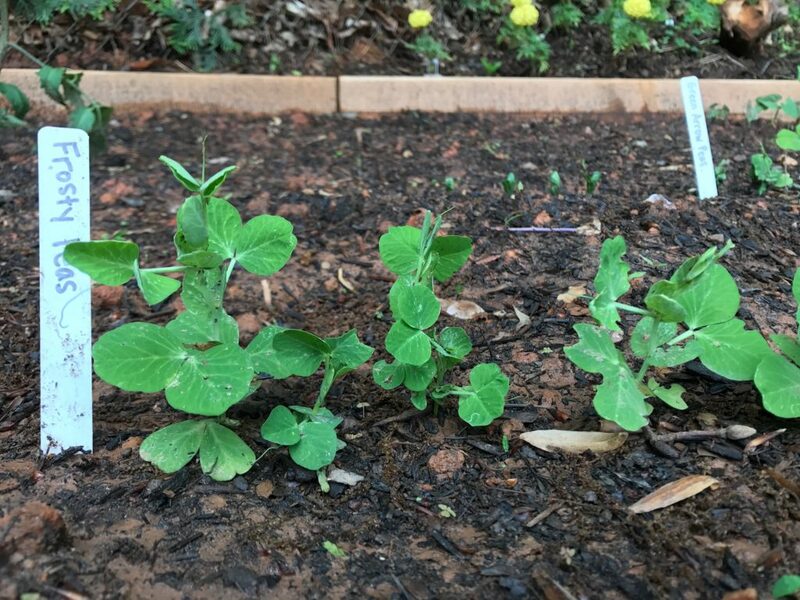 No, I don’t know what any of those are, but we’re happy to grow them and find out! 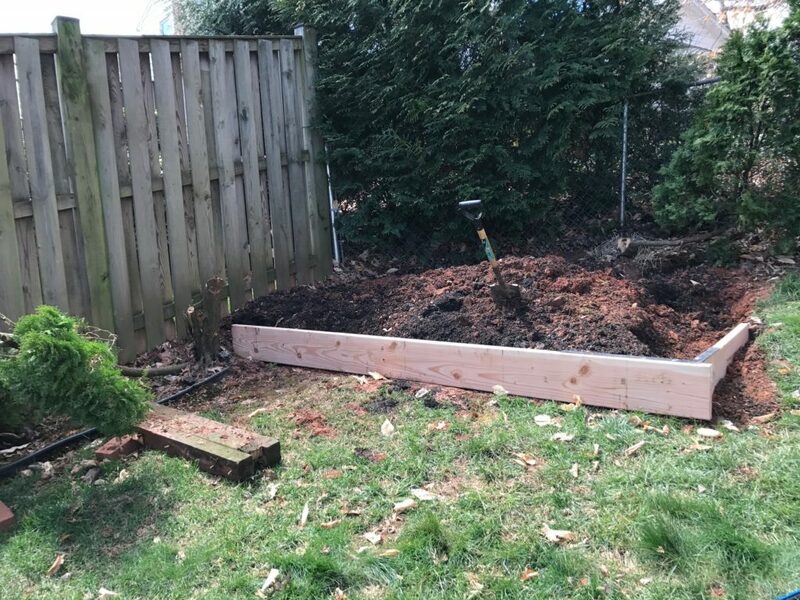 We’ve got more plans for the garden up our sleeves (and tons more room to work with! ), so check back in a few weeks to see that progress. What about you guys? 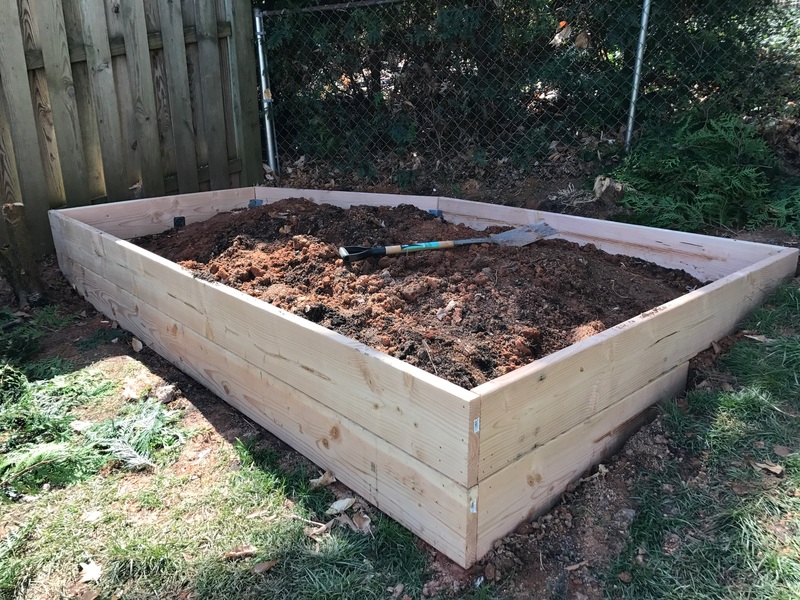 Any other stories to share on building a raised garden bed? Any serious crop-rotators out there? How do you decide what to grow every year? We are obviously total novices here, so any tips are welcome!